Jane is a senior reporter covering student health at EdSource Today. Her work with data journalist John C. Osborn on “How Vaccinated are California Kindergarteners” won first place in data reporting from the Education Writers Association in 2014. Jane is a former staff reporter for the Boston Globe. She is also the co-author of The Last Time I Wore a Dress (Putnam/Riverhead), the story of a teenage girl’s journey through the mental health system. The book won a Lambda Literary Award. Previously, she was a contributing editor at Health and Parenting. She has reported for the Washington Post, Los Angeles Times, Miami Herald, Chicago Tribune, Dallas Morning News, Philadelphia Inquirer, Newsday, Baltimore Sun and other publications. 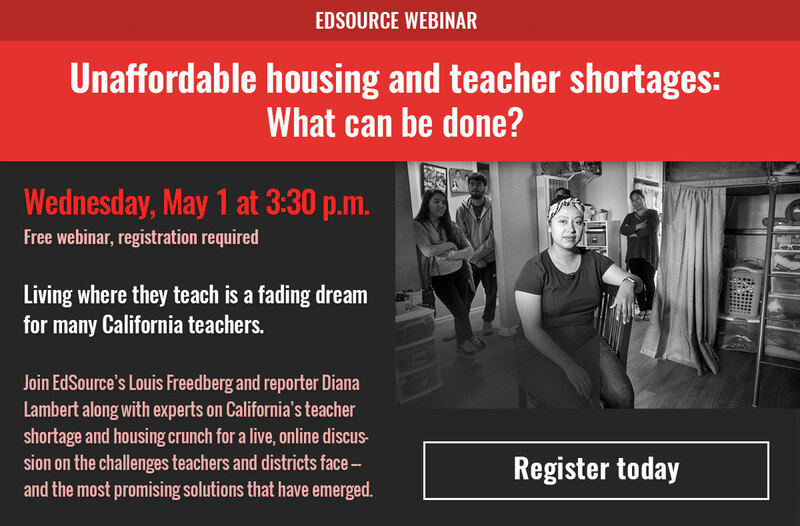 Prior to joining EdSource, she worked for five years at a K-8 school in Oakland. She holds an A.B. in government from Harvard University and an M.A. in English and an M.F.A. in Writing from San Francisco State University. She has been a USC Annenberg Health Journalism Fellow. Cell phones and social media can leave teenagers depressed and isolated, new research has found. Some schools are encouraging students to put down their phones and talk to each other. Some LGBT students find themselves accepted by their peers, but not by teachers and administrators at school, said Vinnie Pompei of the Human Rights Campaign, who will speak at the EdSource Symposium in October. If schools could improve their work environments, and stop the flood of teachers leaving the field, the teaching shortage would go away, according to a report from the Learning Policy Institute. As California's strict vaccination law turns a year old, vaccination rates have reached their highest levels. Information about social and emotional learning for parents, teachers, administrators and students. The Kern High School District in the Central Valley admitted no wrongdoing but agreed to settle because changes in school discipline reflect current policies. The students retained those skills when researchers tracked them months or even years later. Many California schools aren't reporting whether girls have equal access to high school sports teams, a new study from Legal Aid at Work finds. Will social and emotional learning turn out to be just a fad? Researchers propose strategies to prevent that fate. Stockton Unified spent nearly $3 million on school policing from state money targeted for low-income, English learner and foster youth students, the ACLU found in a data analysis. Search school information in the CA Schools app from the California Department of Education. What is social and emotional learning and why should schools get involved in it? A guide offers answers. A California Teachers Association survey found that 40 percent of teachers had received little or no training in alternatives to suspensions. The statewide rate for kindergartners who are vaccinated reaches 95.6 percent. The percentage of kindergartners who received all required vaccines rose to 95.6 percent in 2016-17. Suspension rates are a new indicator of school success. Entering middle school marks a turning point for students. The California Department of Education said it would end its legal challenges and follow a “corrective action plan” for special education monitoring issued in 2014 by the U.S. District Court of Northern California in San Francisco. If the suspension rate were lowered by 1 percent in one graduating class in California, the state would avoid $180 million in economic losses, researchers at the University of California have found. Transgender students in California remain protected from discrimination under state law, as state legislators say Trump is no friend of the LGBT community. The recommendations are part of a push to create measures of school conditions and climate that help districts create change. Teaching teachers how to develop their own social and emotional skills is the first step to helping students, according to a new report. A new law bans the use of "Redskins" as a mascot at California high schools, but allows schools to continue to use logos of American Indians and for students to dress up in American Indian costumes. From yelling to whispering, a teacher's tone of voice in the classroom affects learning and student behavior, some educators say. The video is designed to help educate students, school staffs and parents about gender discrimination. School officials, especially in California, are placing increased emphasis on respect for all students and civil discourse. President Obama established DACA — Deferred Action for Childhood Arrivals — in 2012 through an executive order. With a stroke of a pen when he takes office, Trump can eliminate the program. The researchers say their findings support efforts to diversify the teaching workforce. Half of chronically absent K-5 students are found in 20 percent of districts. Educators are more focused on how students and teachers interact. The videos are designed to help teach social and emotional skills. The price of a two-pack of Epi-Pen auto-injectors has gone from $100 to more than $600. The new data map is based on information collected by the federal Office for Civil Rights. Oakland Unified is facing compliance deadlines to prove it is monitoring students at private special education schools. If the injunction is granted, the personal belief exemption will temporarily be reinstated. With the new vaccination law, California becomes a worldwide leader in promoting childhood vaccinations. The investigation concluded that the district violated federal education and disability law. Unwanted sexual comments and jokes are against the law at schools, but enforcement has been minimal. A disproportionate number of African-American students are suspended or expelled. The lawsuit is seeking detailed information about student arrests. School discipline and foster youth practices are targeted in state investigations. Officials examining Tobinworld and other schools in California. Researchers put the cost at $755,000 for each student who drops out. A new "military student identifier" will track students' progress as they move. Some campuses have sought exemptions from anti-discrimination laws. California has provided equal access to facilities for transgender students since 2014. At issue is whether special ed students need to comply with the new vaccination law. The program uses parent-teacher teams to share information. California funding formula requires districts to include school climate as a priority. The state seeks to include students with disabilities in funding for high-needs students. California is working with the Ad Council to provide communication tips for schools. Advocates are pushing to make chronic absenteeism rates a measure of school success. Some parents struggle with the logistics of getting children to school. The new federal education law requires the change. Officials cite "the critical link" between health and education. More than 92 percent of California kindergartners are fully vaccinated. The letter was sent after a 9-year-old was slapped by a teacher's aide. The auditor will examine teacher discipline practices in the Los Angeles Unified School District. The biggest decline in suspensions was in the "willful defiance" category. The state investigates allegations of abuse at Antioch special education school. The new vaccination law lacks clarity about whether special education students must be immunized. School districts ask adults to model calm behavior. Teacher preparation programs will have new curriculum by 2017-18, the state says. The investigation resulted in 22 arrests, including an autistic student. Lower rates of suspension were correlated with higher academic achievement for every racial group in the state, the study found. The Student Voice campaign encourages meaningful connections with teachers. The school districts are charged with failing to provide mandated PE instruction. First national, comprehensive study looks at math and reading achievement. Schools will be required to assess struggling readers specifically for dyslexia. Native American groups have campaigned for the change for more than 50 years. California has been a national leader in mandating healthy school lunches. The referendum needed to collect 365,880 signatures but got 149,135. The course will combine education on sexual health and HIV prevention. Some parents believed those students would be exempt. The Medi-Cal reimbursement program brings millions in federal funds to schools. School districts lose $1 billion in funding every year due to absenteeism. The state suspends certification for two Tobinworld schools. Some PE teachers believed the rodeo proposal didn't meet state content standards. The data focuses on student performance in the state's priority areas. Schools accused of denying African-Americans and Latinos access to classes. A new guide offers advice and explains legal issues. Moving from elementary to middle school causes a substantial drop in test scores. More than 30,000 schoolchildren in California have gay or lesbian parents. Almost every school district in California will be affected. BREAKING NEWS: Governor signs bill ending personal belief exemptions. Teachers file 69 complaints against nine California schools in the network. Some PE teachers object to giving credit for sport outside school supervision. Proposed law would protect doctors from liability in prescribing epinephrine. The changes are part of a legal settlement in a class-action lawsuit. The first-of-its-kind lawsuit uses special education laws to demand trauma services. PE specialists free up time for classroom teachers. The bill proposes removing the "personal belief exemption" to vaccination laws. Support grows for state bill to improve Title IX training. A request for academic intervention alleged classes without content. The least-trained staff often are involved in restraining students. California Department of Education no longer required to collect data on reported incidents. Four schools in the state currently use the name for their teams or mascots. Federal agency froze payments after audit found unallowable claims. Allegations would go through a complaint process already in place. The report calls for a greater integration of special education into schools. About half the students who are eligible eat school breakfast. Funds were allegedly collected for students who never participated. Many pregnant teenagers in the Central Valley are highly motivated to graduate from high school and continue their education, but some schools make the task more difficult, according to a report released Tuesday by the American Civil Liberties Union of Northern California. In the midst of a nationwide measles outbreak tied to unvaccinated children and adults in California, the nation's leading autism advocacy group has changed its position and now clearly states there is no link between vaccinations and autism. With huge numbers of California children still uninsured, schools are beginning to take the lead in letting families know that affordable health care coverage is available. After winning a court order to improve academic conditions at one Los Angeles high school last fall, lawyers in a class action suit asked Thursday for an additional court order to compel the state to improve instruction time at five other California high schools in the 2015-16 school year. As schools tout the importance of exercise in an era of childhood obesity, a California parent and his lawyer have agreed to a settlement with dozens of districts across California that will force elementary schools to prove they are providing at least the minimum amount of physical education required by state law. Nearly every school district says it wants to reduce student suspensions, but only some have created plans with the kind of detail, funding and statistical savvy that make it more likely they'll succeed, according to a report released Wednesday that analyzed plans to improve "school climate" in the 50 largest school districts in California. The largest outbreak of measles in California in years is prompting school officials to redouble their efforts to convince parents to vaccinate their children. A slew of new laws affecting students’ physical, emotional and behavioral wellbeing will change how schools operate this year, in ways large and small. The laws regulate basic needs grants for truant students, pesticide use and expulsions for "willfully defiant" behavior, among other issues. School-based health centers in California will take the lead in educating school staff and families nationwide about asthma attacks triggered by dust, mold, smoke and chemical cleaning products, according to a new federal grant. State finance officials last week granted the California Department of Education $3.4 million to fight a lawsuit that demands the state fix disruptive conditions in some high-poverty schools where students allegedly are being denied the fundamental right to an education. California's enthusiasm for healthy school lunches appears unlikely to change under a proposed Congressional budget bill that would allow states to weaken new federal school nutrition requirements, including one that schools serve only breads and pastas that are "whole grain rich." While vision screening is mandatory for California students, they often don’t get the glasses they need. Increasingly, schools and nonprofit organizations are working together to help. Eight California farm-to-school programs received federal grants on Tuesday with the goal of making broccoli cool on the North Coast, bringing traditional Karuk Tribe foods into Humboldt County schools and supporting local farmers across the state, the U.S. Department of Agriculture announced. With a big push from the state’s new approach to education spending, many California school districts appear to be ramping up investments in positive approaches to discipline. Nearly every school kitchen in California needs equipment to be more successful at serving lunches that meet federal nutrition standards, according to a report released Thursday. At long last, some school food service departments in California are going shopping, under orders from the California Department of Education to spend millions of dollars in federal and state school lunch funds that districts have failed for years to use for student meals. Citing an “ever-increasing” number of complaints about the bullying of students with disabilities, the federal government issued a letter this week reminding schools of their legal responsibility to stop such bullying or risk violating federal anti-discrimination laws. A state judge Wednesday ordered the California Department of Education to intervene at a south Los Angeles high school where some students have spent eight weeks in classes during which they received no instruction. With districts working this fall to put into action their first locally created school accountability plans, the California Department of Education rolled out a new online resource center on Thursday designed to help schools change. For decades, the state Department of Education has provided free braille and large-print textbooks to visually impaired students. But under the new school finance law, spending authority has shifted from Sacramento to school districts, including the responsibility for choosing and purchasing general education textbooks. More than 269,000 California public school students – about 4 percent of all students, double the national average – don’t have a consistent place to call home at night, according to a state report released Wednesday. More than half are in pre-kindergarten through 5th grade. UPDATE: Late Friday, Aug. 29, California Attorney General Kamala Harris filed a one page notice of appeal on behalf of Gov. Jerry Brown and the state indicating that the state will appeal the Vergara ruling. Proposing a fundamental change in the way the California Department of Education operates, a report from the Legislative Analyst’s Office Thursday suggested the department move beyond its current focus on federal compliance, an emphasis it said school districts find "increasingly reactive and punitive." The decision of the Compton Unified School District board to allow campus police to keep semi-automatic rifles in the trunks of their cars has sparked controversy. But Compton is just the latest school district in California where school police are authorized to use assault-style weapons. After showing up for four rounds of meetings at the California Commission on Teacher Credentialing – and sending 866 letters of opposition to Sacramento last month alone – physical education teachers lost the fight to prevent military instructors from being able to earn a new special teaching authorization in physical education. What does federal shutdown mean for California education?